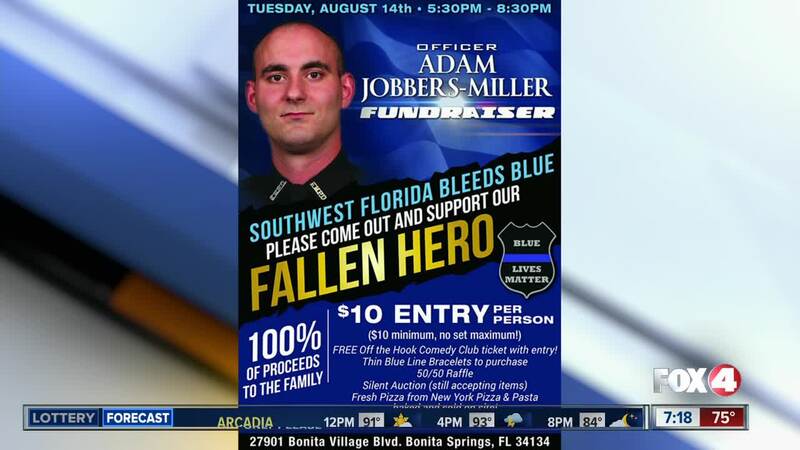 The fundraiser came 24 days after Officer Adam Jobbers-Miller was shot, 17 days after his heart stopped beating, and eight days after his loved ones and comrades said their final goodbyes. The event featured a silent auction, 50/50 raffle, and food and beverages for sale, with 100% of the proceeds going to the Jobbers-Miller’s fiancé and her son. 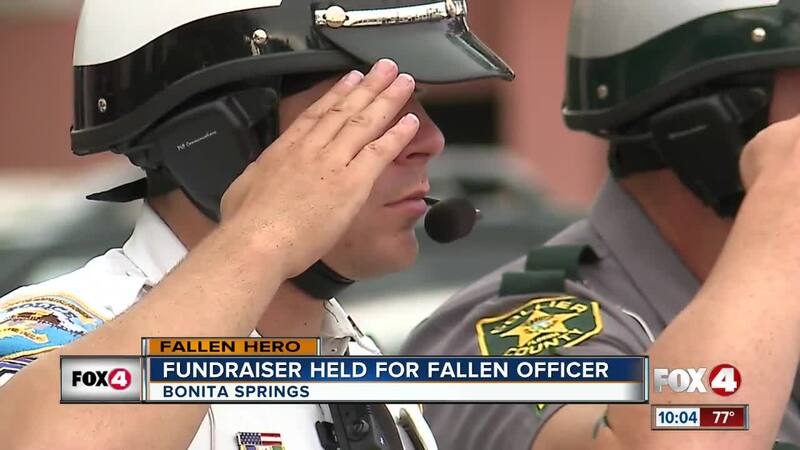 “The words I want you to know and never forget is ‘never forget,’” Lee County Undersheriff Carmine Marceno said. Jesse Pardon and Chelsea Pereira were among several organizers of the event. It was ten dollars to get in the door, and the pair said the event would not have been possible had it not been for the several businesses that donated time, money, and services. A Lee County Deputy read the words of Jobbers-Miller’s fiancé, who was too emotional to speak. “From the day I met Adam, we were inseparable. Adam was quite literally the light of mine and my son's life. He lit up a room when he walked in. He was so full of love and would do anything for anybody. Nothing in this life will ever duplicate the love between Adam and I, and my life will never be the same,” his fiancé’s letter read. 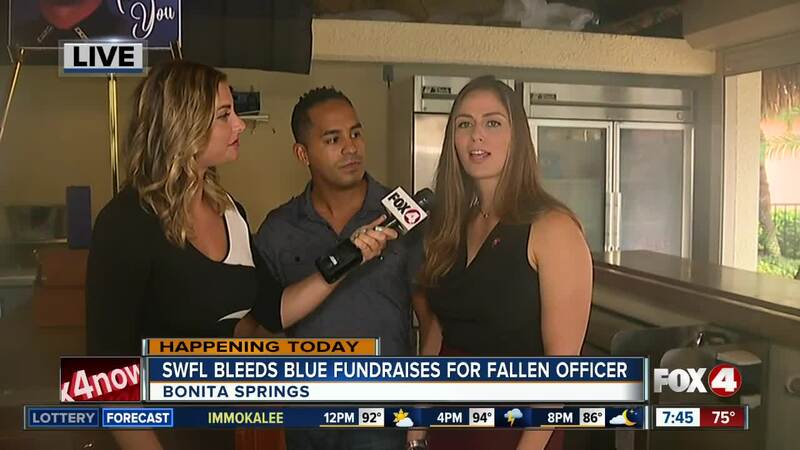 Fort Myers Police Sgt. Domonic Zammit trained Jobbers-Miller. “He was a happy guy. 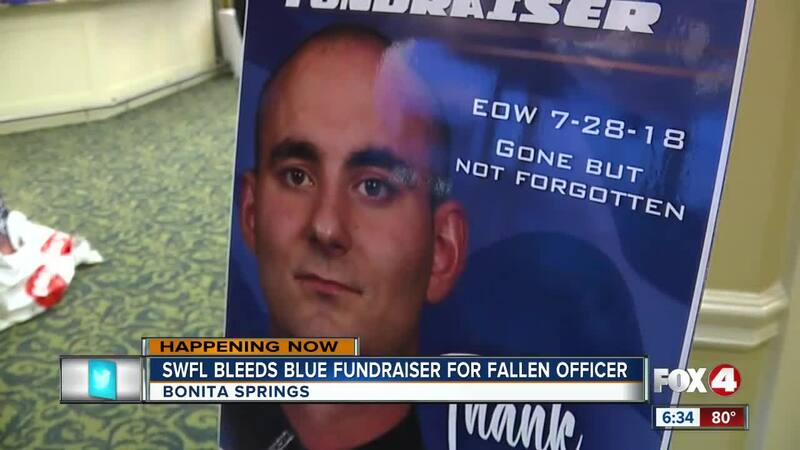 He was always looking out for the best interest of his fellow officers,” he said. He was there during Jobbers-Miller’s final call. “It was very difficult, but unfortunately we still had a job to do and a community to protect,” Sgt. Zammit said. He said now the department and the rest of the bravo shift Jobbers-Miller worked are trying to get themselves back together again. “You know how it is. Once one link is gone, the whole link is gone. You can't hold a group together without that one link,” he said. 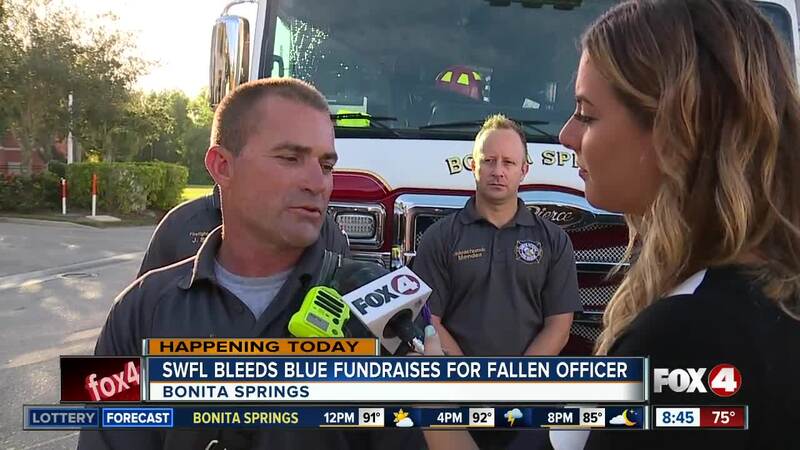 Many Southwest Florida first responders were in attendance, including the Fort Myers Police Department, Lee County Sheriff's Office, Naples Police Department, Bonita Springs Fire and Rescue and North Collier Fire and Rescue to name a few. The event was held at the Island House at Bonita Village.